I Luv 2 Globe Trot is the brainchild of Renee Evans and Nicole Brewer. The two met as English as Second Language teachers in South Korea in 2010. As expats living in Korea they have taken numerous vacations together and quickly learned that they shared a common passion: travel. They both came to the conclusion that this passion needed to be fulfilled and shared with others. Thus, I luv 2 globe trot came to fruition in 2012. Renee Evans graduated from the University of Miami with a BA International Studies and Political Science. She is currently studying for her MA in Education. Nicole Brewer is a graduate of the University of Michigan with a BA in Communications, a MA in International Humanitarian Action with a background in market research. Their paths crossed on an amazing journey of following their hearts desire to live and work abroad. Renee and Nicole both felt it was important to share their journey of trotting the globe with friends, family and soon to be friends through the globe trot community. Between the two friends they have traveled to more than 30 countries and counting! I Luv 2 Globe Trot is a place for those that are already avid travelers to gain advice and for those interested in travel to learn about breaking free of the mold and living their life with purpose and travel. 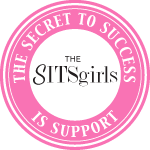 We want to inspire women, minorities and others alike to trot the globe! 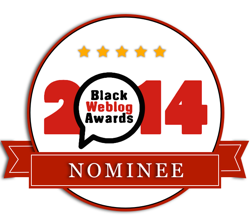 iLuv2GlobeTrot was a 2014 nominee of the Black Weblog Awards. Please feel free to join us networking, sharing ideas and more in our iluv2globetrot forum on Facebook. 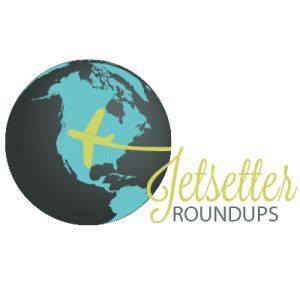 Great idea to travel together and partner to share your experiences! Thanks! We’ve had great experiences together. I just recently relocated from Oman to Bermuda and hate I miss the opportunity to meet you during my time there. Since discovering your blog and following you on FB, I just wanted to say I truly admire and enjoy reading about your many travels around the globe. You’ve inspired me to relaunch my blog for my community here in Chicago in hopes that my students, family and friends will hopefully follow in my footsteps to travel around the world someday. Thanks so much for the kind words and sorry we missed each other as well! I’d love to travel to Bermuda sometime so maybe we could meet when I’m back on your side of the globe some day :-). I’m Bukiwe from south Africa, I’m currently working as an aupair in Netherlands . I did my bachelor’s degree in education, I have 2 years working experience as a primary school assistant ,teaching English,home language and literature. I did TEFL online 120 hours and higher certificate in early childhood development. I was wondering if you can assist me .